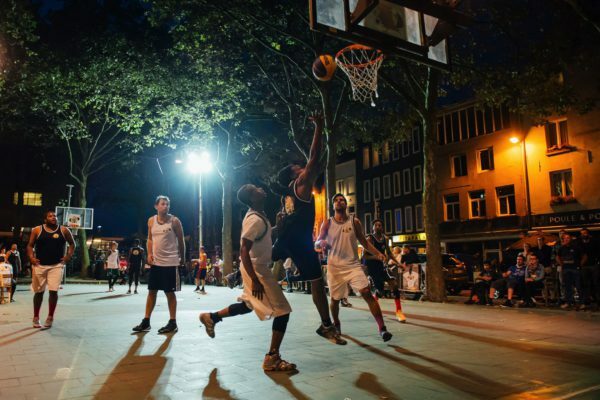 A full moon gives you extra energy. 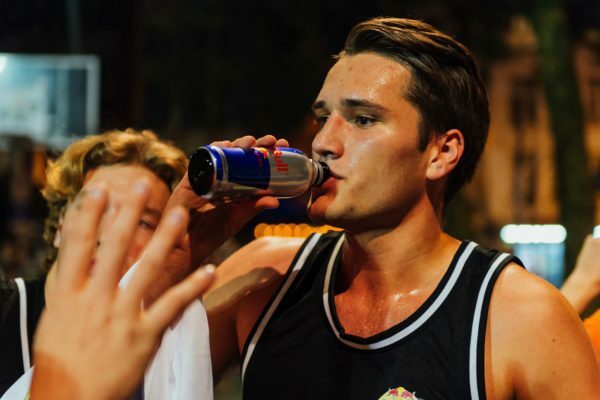 And Red Bull gives you wings. 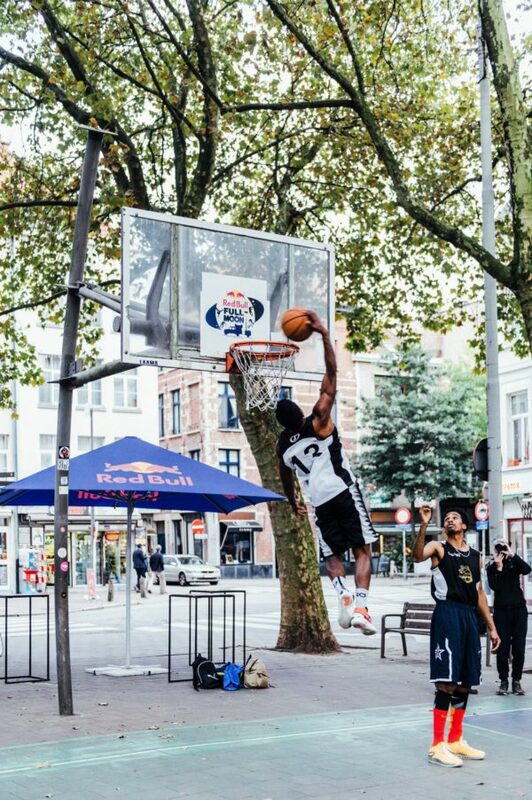 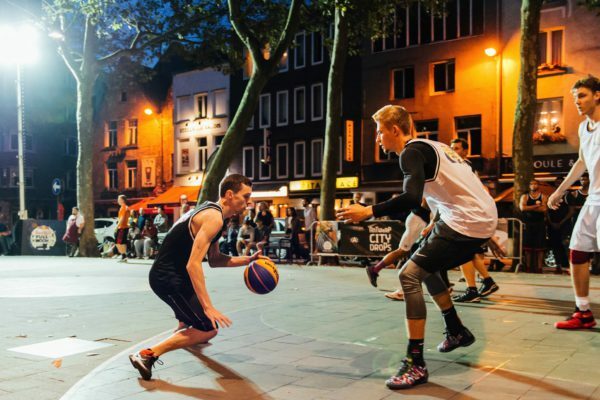 The perfect combination for an evening of basketball by night at Sint-Jansvliet in Antwerp. 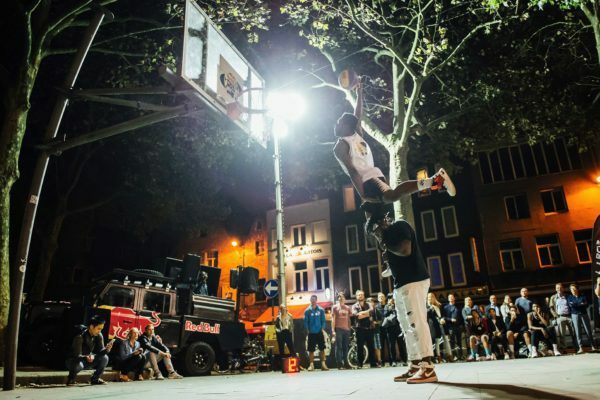 Red Bull Full Moon was the run up to Antwerp City Drops, the urban culture festival that took over the city centre during the last weekend of September. 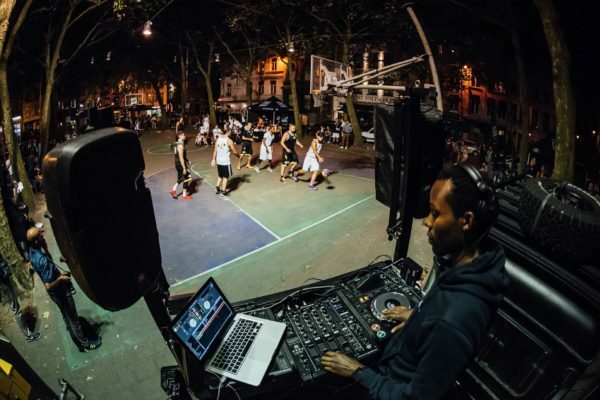 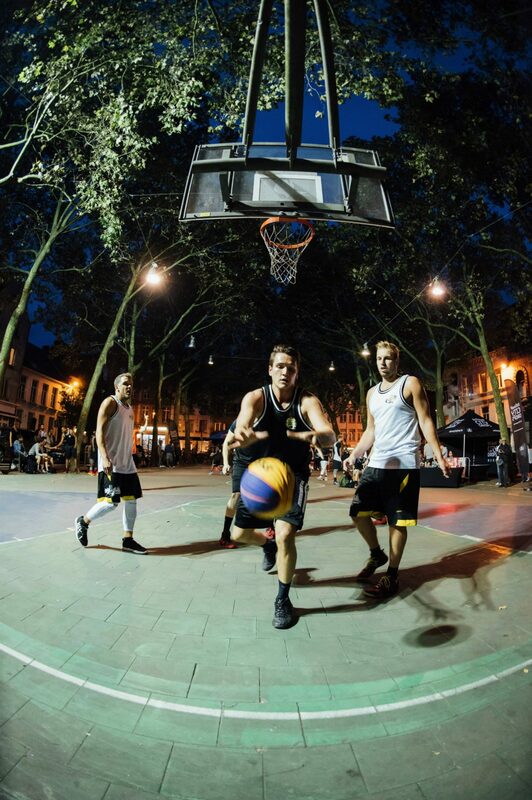 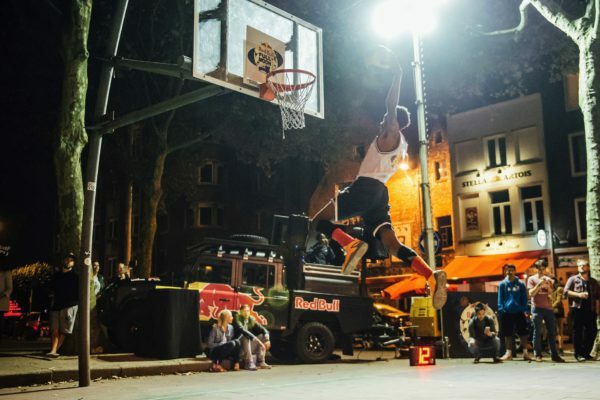 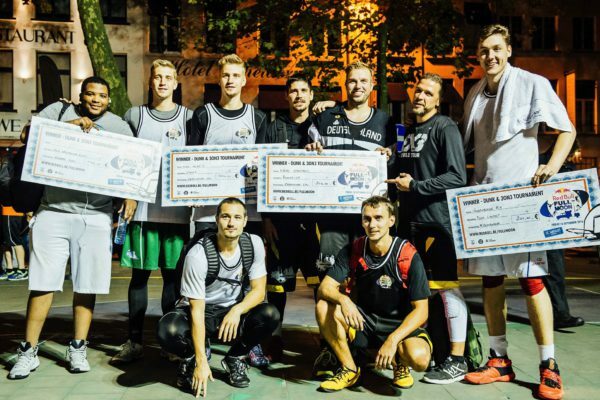 Red Bull was responsible for the DJ, food, drinks and prize money for the players who competed in 3-on-3 games against each other. 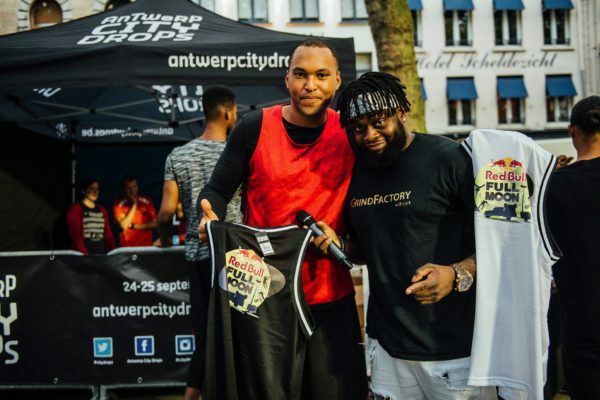 Antwerp City Drops provided a BMX rider and dance troupe who gave a precursor of what would happen the following weekend. 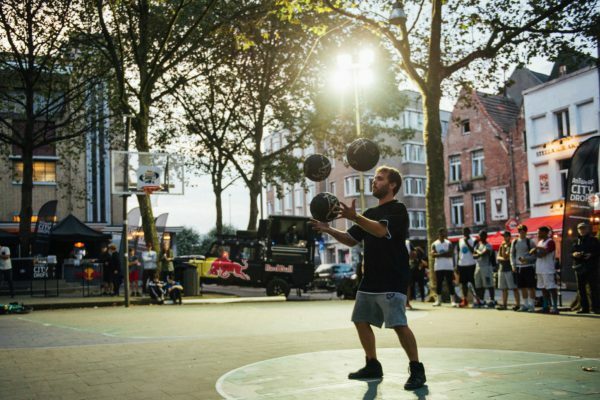 In terms of basketball, apart from the mini tournament there was also a dunk contest and the most spectacular player won a prize at the ball game refereed by Fast Forward.